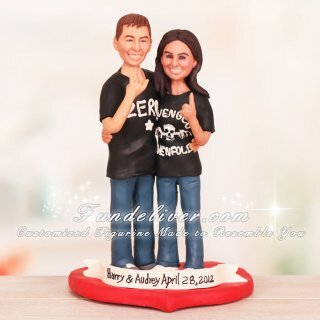 This is a completely customized couple in rock out stance wedding cake topper ordered by one of our customers. 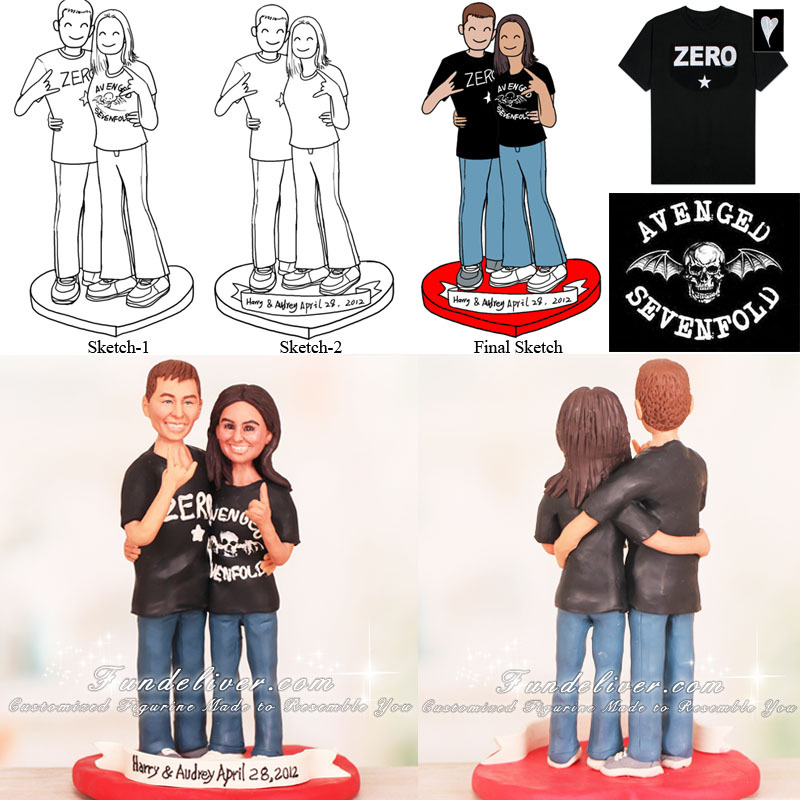 They would like the bride and groom figurine to be in a "rock out" stance with groom in "Zero" Shirt, and bride in "Avenged Sevenfold" shirt. Both of their shirts are black, tee shirt style. The groom is wearing his grey shade tennis shoes, and the bride is wearing her white shade tennis shoes. They are both wearing blue jeans and standing on a red heart base with a nameplate saying “Harry & Audrey April 28, 2012”.